The introduction of the Republican legislation to “repeal and replace” Obamacare is no more than latest scrimmage in the ongoing one-sided war against the poor and working class. The “Affordable Care Act” (ACA, better known as Obamacare) proved to be both unaffordable and unable to provide comprehensive care for millions. Nevertheless, with the ACA being one of the only tangible “victories” Democrats could claim for an administration with a dismal record of noteworthy accomplishments, neoliberal Democrats and the party’s liberal base, led by Bernie Sanders, are now coalesced around the ACA and have vowed to defend it to the bitter end. That is why during the current debate the insurance companies have been largely silent. There is no need to engage in public debate because having largely written the ACA they are again deeply involved in the construction of the current legislation. Their interests will be protected even if it means forcing Republicans to embrace policies that are at odds with their professed philosophies – like including government subsidies for low-income people to purchase insurance. In fact, the only comments from insurance companies in this debate were related to their supposed concern that the Senate bill might not provide enough assistance to those who need help to pay for healthcare. They want what is being called a “stabilization fund” to reduce the numbers of people who might opt out of coverage because they can’t afford it. The Senate bill provides those funds, but they are temporary and are scheduled to end after 2019. Which means that people will be forced to make an unpalatable decision after that — purchasing insurance with higher out-of-pocket costs like $10,000 deductibles or electing to go without insurance altogether. If history is a guide, many will opt out. In fact, the Congressional Budget Office predicts that the current bill will push 22 million people back into the ranks of the uninsured with the potential loss of millions of customers and potential profits for healthcare corporations. But the companies have a plan should those funds prove inadequate to hold substantial numbers in the system: Increase individual premiums by at least 20 percent more than the double-digit increases already under consideration. Insurers need large numbers of healthy people on the rolls, as their premiums help defray the cost of care for those who are sick. Because insurance companies are for-profit operations they set rates based on the risk pool in a market. With the potential loss of customers if the government does not provide adequate long-term subsidies, middle-class consumers who earn too much to qualify for temporary premium assistance will bear the brunt of any premium increases. The Cruz amendment to the legislation has a solution to the possible increase in premiums and healthcare costs in general. The so-called “Consumer Freedom Amendment” represents the typical extreme individualism and anti-social sentiments of the right wing. It essentially advocates for reducing the burden on healthy consumers paying into system to help cover higher-risk fellow citizens. “Under Senator Cruz’s plan, insurers could sell cheaper, stripped-down plans free of Obamacare coverage requirements like essential health benefits or even a guarantee of coverage. These sparser plans would appeal to the healthiest Americans, who would gladly exchange fewer benefits for lower monthly premiums. In an ironic twist that both exposes the class interests of this initiative and its hypocritical approach to the question of the role of the government, Cruz’s amendment affirms that role in the form of subsidies for the sickest citizens and calls for an expansion of government resources to cover them. The Cruz plan would segment the insurance market into healthier and higher-risk segments. High risk individuals along with the already-sick and the elderly would be pushed out of the market because those premiums would soar even with state subsidies, since insurance companies would still set premium rates to maximize profits. Given the lose-lose options for consumers now being debated in Congress, the only rational objective for the majority of the people in the U.S. is to move toward the complete elimination of the for-profit healthcare system. The ideological and political opposition to state-provided healthcare is reflected in the ACA and the various repeal-and-replace scenarios. Through mandates, coercion and the transfer of public funds to the insurance industry, the ACA delivered millions of customers to the private sector in what was probably the biggest insurance shams in the history of private capital. And that gift to the insurance companies is only one part of the story. 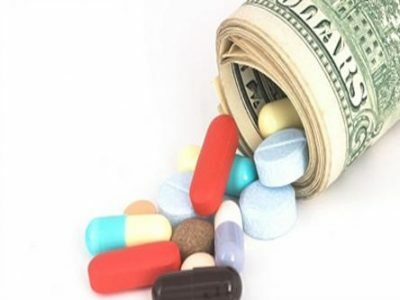 The public monies transferred to the private sector amounted to subsidies for healthcare providers, hospital chains, group physician practices, drug companies and medical device companies and labs as well. The Republican alternatives to the ACA variably supplement the corporate handouts with more taxpayer-funded giveaways. And once the private sector gains access to billions of dollars provided by the state, they and their elected water-carriers fiercely resist any efforts to roll those subsidies back. The subsidies coupled with the mergers and acquisitions of hospital corporations and insurance providers over the last few years and a general trend toward consolidation of healthcare services in fewer and fewer hands underscored the iron logic of centralization and concentration of capital represented by the ACA and was a welcome development for the biggest players in the healthcare sector. The movement toward a monopolization of the American health-care market means that rather than the reduction in healthcare costs that is supposed to be the result of repeal and replace, the public can instead expect those costs to escalate. Many on the left have called for a single-payer system similar to those that work well (if not perfectly) in Britain, the Netherlands, Finland and elsewhere in Europe. But even with an “improved Medicare for all” single-payer system, costs will continue to increase in the U.S. because they cannot be completely controlled when all of the linkages in the healthcare system are still firmly in the hands of private capital. The only way to control the cost of healthcare and provide universal coverage is to eliminate for-profit, market-based healthcare. Take insurance companies completely out of the mix and bring medical device companies, the pharmaceuticals companies and hospitals chains under public control. The ideological implications of the Cruz amendment are that it reflects a growing public perception both domestically and internationally that healthcare should be viewed as a human right. Putting people at the center instead of profit results in healthcare systems that can realize healthcare as a human right. This is the lesson of Cuba where the United Nations World Health Organization declared that Cuba’s health care system was an example for all countries of the world. That is the socialist option, the only option that makes sense and the one that eventually will prevail when the people are ready to fight for it.